Gulf Petrochem Group, a leading player in the regional oil sector, said it has appointed Rakesh Mehra, an industry veteran, as the strategic advisor for the group with immediate effect. 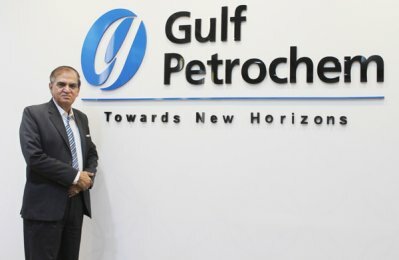 With over 35 years experience in the oil industry encompassing refinery operations, marketing, inbound and outbound logistics, bio-fuels, international trading and commodity risk management, Mehra will oversee Gulf Petrochem Group’s strategic expansion plans while improving profitability along with the group’s global brand, said the company in a statement. Prior to this, he held a number of executive positions most notably as executive director at Bharat Petroleum Corporation Ltd, a state owned oil company in India and a Fortune 500 company. He also served as a board member of Matrix Bharat, a joint venture of Bharat Petroleum and Matrix Marine of Germany. In his previous role, Rakesh Mehra oversaw the import of roughly 28m tonnes of crude oil for Bharat Petroleum’s group of refineries. This also included export of all petroleum products, commodity hedging across international markets and independent shipping chartering. Announcing the appointment, Manan Goel, the group director at Gulf Petrochem, said: "Mehra brings with him a wealth of experience as witnessed by his accomplishments at Bharat Petroleum." "His appointment is a strategic complement to our group, ensuring our global expansion plans and global reputation remain to the highest standards along with looking at ways to continue our development for us to realise our long-term objectives as a group," he noted. On his appointment, Mehra said: "I have witnessed the group’s exponential growth from afar, and when the opportunity arose to join the group and develop the $2.5bn business further, it was a challenge that I could not turn down." "With a truly global presence across its business units consisting of bunkering, trading, refining, shipping and storage, the group is extremely well positioned to cope with the current market dynamics and prosper into the future," he added.